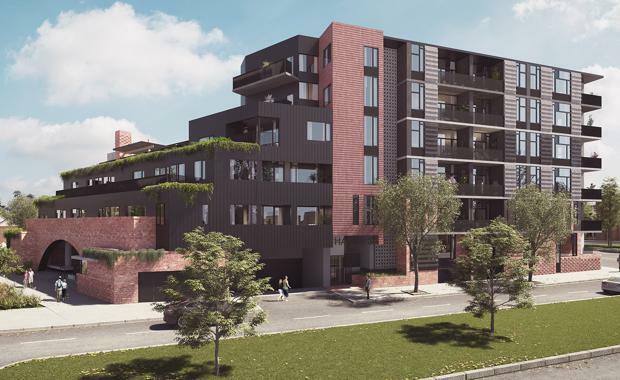 Brunswick Group is hoping to introduce a new level of residential living in West Melbourne with the launch of the new apartment development Hawke + King. Designed by architects Six Degrees on a raised island site at the juncture of Hawke, King and Curzon Streets in West Melbourne, Hawke + King comprises 74 apartments across four buildings surrounding a central courtyard. The raised site provides many apartments with commanding views, taking in Melbourne’s CBD and beyond.